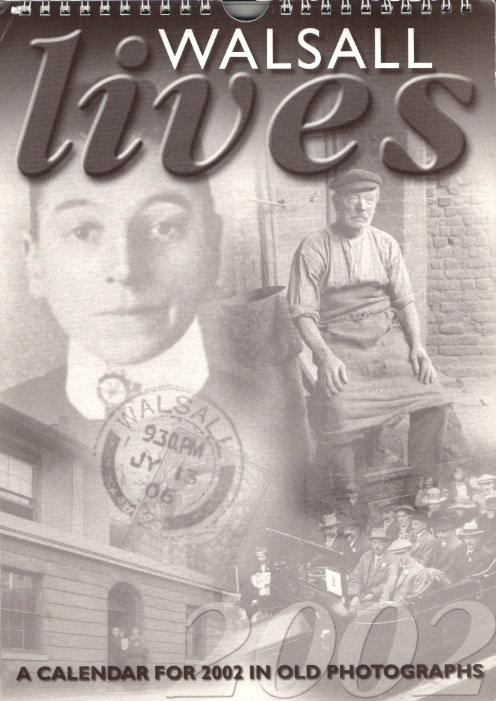 In 2002 I began to produce a calendar titled Walsall Lives – Remembering The Old Town utilising my collection of old images, memorabilia and ephemera. Between 2002 and 2013 eight calendars were produced but not consecutively as some years I simply ran out of new material. The calendar was always well received and I rarely had any left come the end of December, that was probably thanks to Dr. Carl Chinn! For the first three years he invited me onto his now sadly, defunct radio show to talk about the contents of each calendar, with Carl’s enthusiasm and my ability to talk for England in the right company, we had a great time. Thanks for that Carl! You are currently browsing the WALSALL LIVES CALENDARS category at Walsall Life.